As a barebones Orion spacecraft awaits its first liftoff from Cape Canaveral, representatives from European governments agreed Tuesday to pay for the development of a power and propulsion element to take the crew capsule on longer voyages around the moon, to an asteroid, and eventually to Mars. The decision by European governments to fund the Orion spacecraft’s service module was the last step required for the European Space Agency to go ahead with final design and construction of the component, which will be fitted with the capsule on its next test flight in 2018. 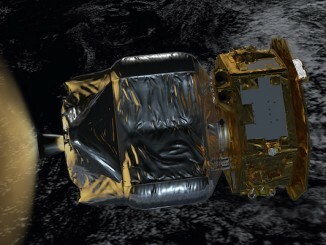 NASA and ESA agreed on the service module accord in December 2012, and European engineers are already working on the project. But ESA member states had only committed to paying for slightly more than half of the service module’s 450 million euro ($550 million) cost. When government ministers met Tuesday in Luxembourg, a top agenda item was the approval of the final funding installment worth approximately 200 million euros, or about $250 million. Officials rubber stamped the funding as part of Europe’s payment for its use of the International Space Station. 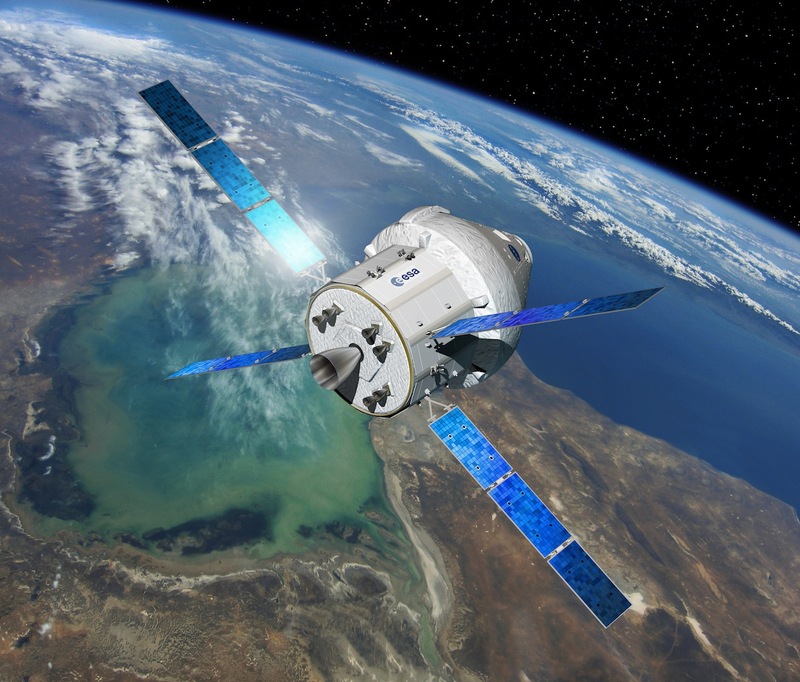 Although the space station and Orion programs are not directly related, ESA and NASA negotiated a deal for Europe to design and build the crew capsule’s service module in exchange for European access to the orbiting research lab through 2020. The “barter” agreement allows the two space agencies to pay each other without exchanging cash. With its design rooted in Europe’s Automated Transfer Vehicle, an unpiloted space station resupply freighter, the service module will debut on the Orion spacecraft’s second space mission scheduled for launch in 2018. The capsule will fly without a crew on a mission around the far side of the moon and into a distant lunar retrograde orbit before returning to Earth for splashdown in the Pacific Ocean. 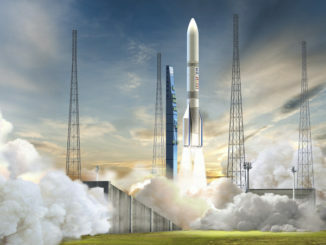 “Its first mission will be to go to the moon with the Orion capsule,” said Jean-Jacques Dordain, ESA’s director general. The decision by European ministers Tuesday was welcomed on both sides of the Atlantic. The agreement sealed by NASA and ESA calls for Europe to build the bulk of the service module for the 2018 mission, which is called Exploration Mission-1 in NASA’s flight sequence. ESA will also deliver parts for another service module that will fly on the first Orion mission with astronauts on-board in 2021. Officials plan to discuss extending the Orion accord, meaning ESA could provide full-up service modules on subsequent Orion missions with crews. 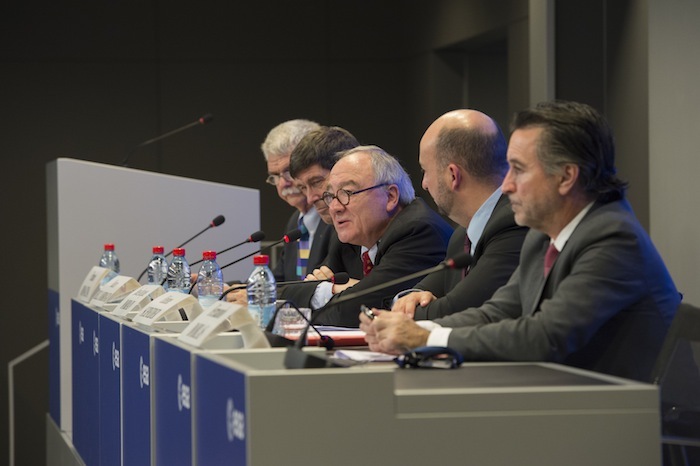 European space leaders see the agreement as a foothold in human spaceflight, sensing an opportunity to send European astronauts on missions to the moon or an asteroid. ESA signed a $480 million contract with Airbus Defence and Space on Nov. 17 to cover the remaining development and construction tasks for the first Orion service module, which will be built at an Airbus plant in Bremen, Germany, and delivered to the Kennedy Space Center in Florida in January 2017, according to Mark Geyer, NASA’s Orion program manager. Geyer said the signing of a contract with favorable terms, which occurred before ESA could confirm it had the money for the service module, was a sign ESA was committed to the project. The European-built service module will provide propulsion, electrical power, thermal control and major components for Orion’s life support system. NASA will supply a rocket engine taken from the space shuttle for attachment on the back end of the Orion service module, while ESA is in charge of building the craft’s primary structure, propellant tanks and four solar panels arranged in an “X-wing” configuration like the power-generating solar arrays on Europe’s ATV cargo craft.